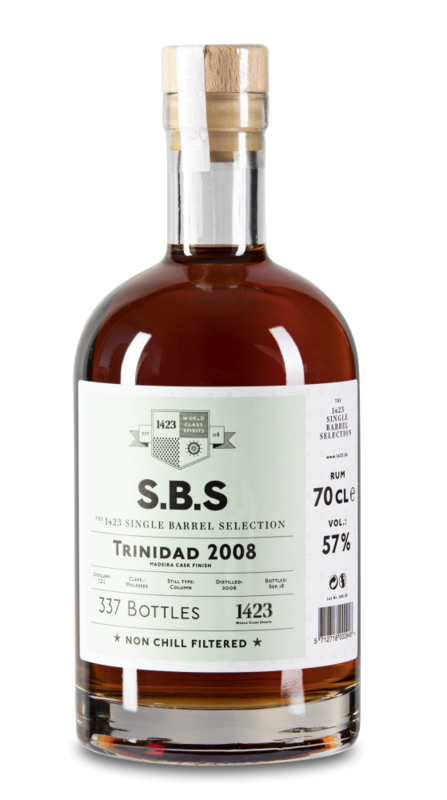 S.B.S Trinidad 2008 comes from a single cask, which yielded 337 bottles. 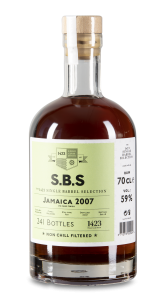 The rum was distilled at T.D.L and enjoyed a Madeira cask finish. 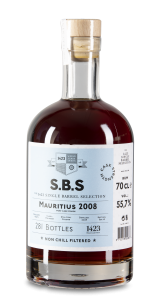 S.B.S Trinidad 2008 comes from a single cask, which yielded 337 bottles. 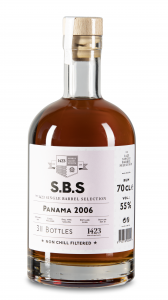 It is distilled by Trinidad Distillers Limited (T.D.L), which is home to the extensive Angostura. T.D.L use a Multi-Column, continuous distillation, which was commissioned by Angostura Ltd in the late 1940s. T.D.L exclusively use sugarcane molasses as the source for their fermentation and cultivate their own yeast strain, which adds a distinctive ﬂavor note to the rums. Nose: Significant Madeira influence. 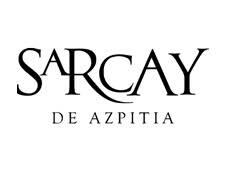 Lots of grapes and raisins with a light touch of spiciness. 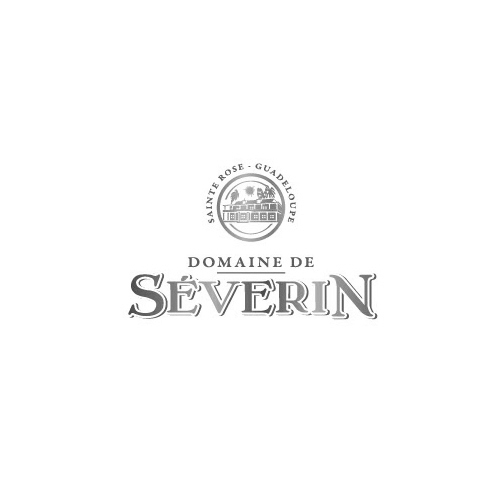 Palate: Just as fruity as the nose suggests with a very long and dry, tannic finish.